[Expanded and Revised Sept. 4, 2002 – Evidence of Bush Administration Foreknowledge and complicity is now overwhelming. Since our last revision July 11, 2002, 16 New Items! 16. Feb. 13, 2001– UPI terrorism correspondent Richard Sale — while covering a trial of bin Laden’s Al Qaeda followers — reports that the National Security Agency has broken bin Laden’s encrypted communications. Even if this indicates that bin Laden changed systems in February, it does not mesh with the fact that the government insists that the attacks had been planned for years. 34. July 26, 2001 – CBS News reports that John Ashcroft has stopped flying commercial airlines due a threat assessment. Ashcroft told the press that he didn’t know anything about what had caused it. 42. August/September 2001– The Dow Jones Industrial Average drops nearly 900 points in the three weeks prior to the attack. A major stock market crash is imminent. 44. Sept. 3-10, 2001– MSNBC reports on Sept. 16 that a caller to a Cayman Islands radio talk show gave several warnings of an imminent attack on the U.S. by bin Laden in the week prior to 9-11. 45.early-September 2001– An FBI internal document, based upon field notes from Minnesota field agents discloses that the agents had been investigating and had questioned the “20th hijacker,” Zacarias Moussaoui. The field notes speculate that Moussaoui, who had been taking flight lessons, might crash an airliner into the WTC. Interestingly, the field agents’ requests to obtain a search warrant for his personal computer were denied. French intelligence confirms to the FBI that Moussaoui has ties to terrorist groups and may have traveled to Afghanistan. The agents also had no knowledge of the Phoenix memo (See Item #18). One news story states that agents were in “a frenzy,” absolutely convinced that he was “going to do something with a plane.” [Source: Newsweek, May 20, 2002 issue, story by Michael Isikoff]. 56. Sept. 10, 2001 – This item has been removed solely at the request of the party previously named in this entry. 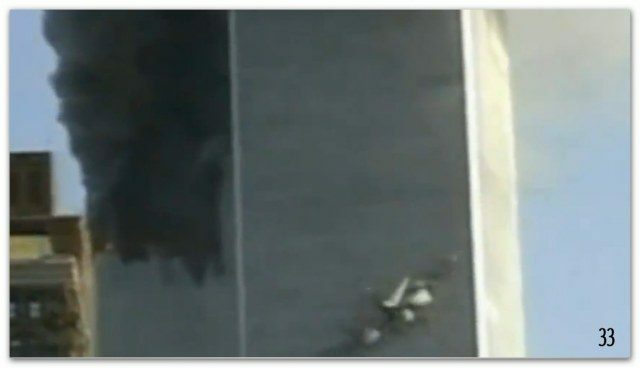 Recent court proceedings which occurred after the news story we had cited – have indicated that there was no connection between the story listed here, the person named therein and the attacks of 9-11-01. At the request of the previously named party, FTW has replaced the $1,000 reward with a $1,000 donation to The Childrens Defense Fund on behalf of the named party and the issue is now amicably resolved without any hard feelings between that party and FTW. 69. Sept. 15, 2001– The New York Times reports that Mayo Shattuck III has resigned, effective immediately, as head of the Alex Brown (A.B.) unit of Deutschebank. 70. Sept. 29, 2001– The San Francisco Chronicle reports that $2.5 million in put options on American and United airlines are unclaimed. This is likely the result of the suspension in trading on the New York Stock Exchange after the attacks, which gave the Securities and Exchange Commission time to be waiting when the owners showed up to redeem their put options. 73. mid-October 2001– The Dow Jones Industrial Average, after having suffered a precipitous drop has recovered most of its pre-attack losses. Although still weak and vulnerable to negative earnings reports, a crash has been averted by a massive infusion of government spending on defense programs, subsidies for “affected” industries and planned tax cuts for corporations. 75. Nov. 21, 2001– The British paper The Independent runs a story headlined, “Opium Farmers Rejoice at the Defeat of the Taliban.” The story reports that massive opium planting is underway all over the country. 85. Feb. 18, 2002– The Financial Times reports that the estimated opium harvest in Afghanistan in the late-spring 2002 will reach a world record 4,500 metric tons. 97. July 3, 2002 – The first-ever shipment of Russian oil, 200,000 metric tons, arrives in Houston. [Source: The Moscow Times, July 6, 2002]. 103. Aug. 28, 2002– The Globe and Mail of Canada reports Afghanistan will become the world’s top producer of opium this year, surpassing Southeast Asia. [Source: the Globe and Mail, Aug. 28, 2002] Now, let’s go back to the Oct. 31 story by Le Figaro — the one that has Osama bin Laden meeting with a CIA officer in Dubai in July 2001.